This lineup looked really good on paper, even if it was a little heavy on Summery styles for this time of year. I was pretty excited for all the beers, particularly the Pikes which I hadn't tried before and the relaunched Fuller's' cans. 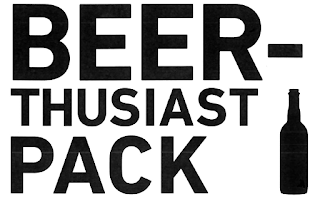 I've also heard great things about the Blackman's Juicy Banger so am pleased to be getting a chance to try that, while it's always a treat to sample Exit's beers. 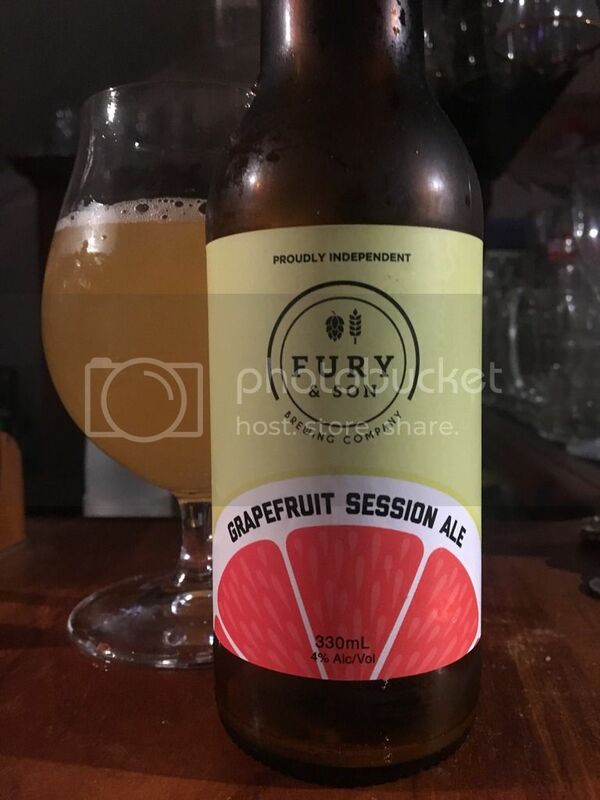 I'm guessing that the guys at Fury & Son were inspired by 2016; the year of the grapefruit IPA, when constructing this beer. It's a relatively low ABV Pale Ale that has had 400L of unpasteurized Mildura grapefruit juice added to it. It's a beer I've had a few times and one I'm very pleased to see again! "Do you like grapefruit? If the answer is yes, you’ll like this beer. Made with a huge amount of fresh grapefruit juice from Mildura, the bitter citrus totally dominates the beer. There’s a pale base and what I assume is a fair whack of hops in here too but it’s all about the grapefruit — lots of pithy citrus, some sweetness and a bright finish. I couldn’t drink a heap of them but I really dug this beer both times I’ve had it and I’d happily have one or two to mix up a session on a hot day." Coll has been calling for more Canberra beers on Beer O'Clock Australia and the Carwyn Beer-Thusiast Pack has delivered. Pact launched in 2015 on the back of Kevin Hingston being named Australia's best homebrewer. Their core range is brewed at Hawkers in Melbourne, something I didn't know before writing this. This beer is named after Canberra's hottest ever temperature; it's a beer that would suit that sort of weather! "Probably not the best time of year for this style but good to finally try this! I’ve seen bottles floating around for a while but as a can lover I’m glad to get to try it for the first time in that form. 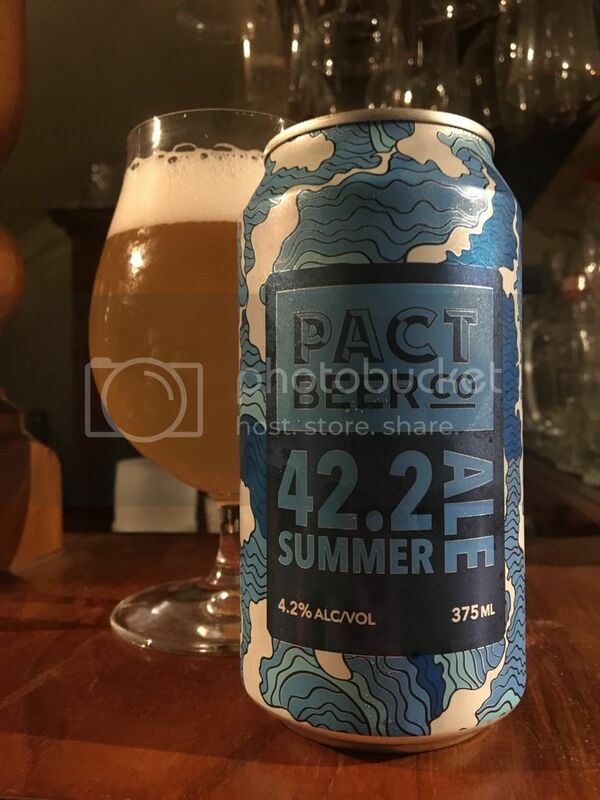 Named after the hottest temperature recorded in the ACT, where Pact hails from, this is a solid light blonde ale with some tropical fruit flavour from the hops. Inoffensive is the word that springs to mind. Wouldn’t turn this down at a pub in the warmer months." I think we tried this one up at your place Coll. It's certainly easy drinking, although is lacking a little in the flavour department. Like Dylan I'd quite happily drink it again! Regular readers would be aware of my love of Exit's beers. This Milk Stout was the third addition to their core range, and I believe it a reboot of their third ever beer; #003. The Milk Stout style is slowly catching on it Australia with the residual sweetness from the lactose, a sugar that the yeast is unable to consume, a real selling point. 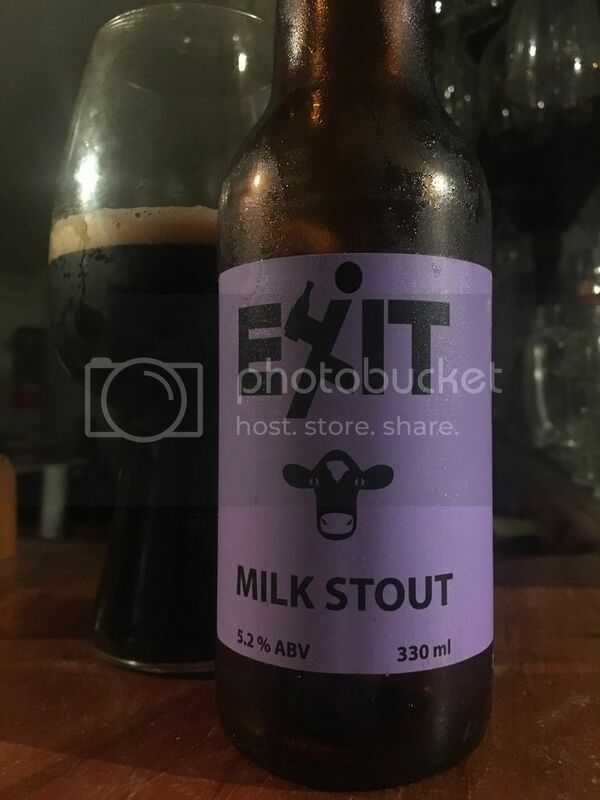 "Exit have an excellent, well rounded core range and this milk stout fits in nicely alongside their amber, IPA and wonderful saison. There’s less lactose character in this than in some milk stouts but it works wonderfully well in terms of balance, resulting in a super smooth, roasty, earthy stout with very light bitterness and a creamy texture. At 5.2% ABV it’s a great weeknight stout too!" I was really interested to try this beer; as it's rare to find beers from Pike's on bottle shop shelves, and almost as rare to find a Sparkling Ale. Sparkling Ale is Australia's only indigenous beer style. The style is a delicate balance between malts and hop and is starting to be recognised in outside of Australia, particularly in America and Scandinavia. "I never quite know what to expect when I read sparkling ale on a beer label — there’s only a few around and it’s a distinctly Australian style (the only uniquely Aussie one according to the BJCP). Generally my mind leans towards Cooper’s; a yeast driven, high carbonation pale ale with prickly bitterness and good balance. 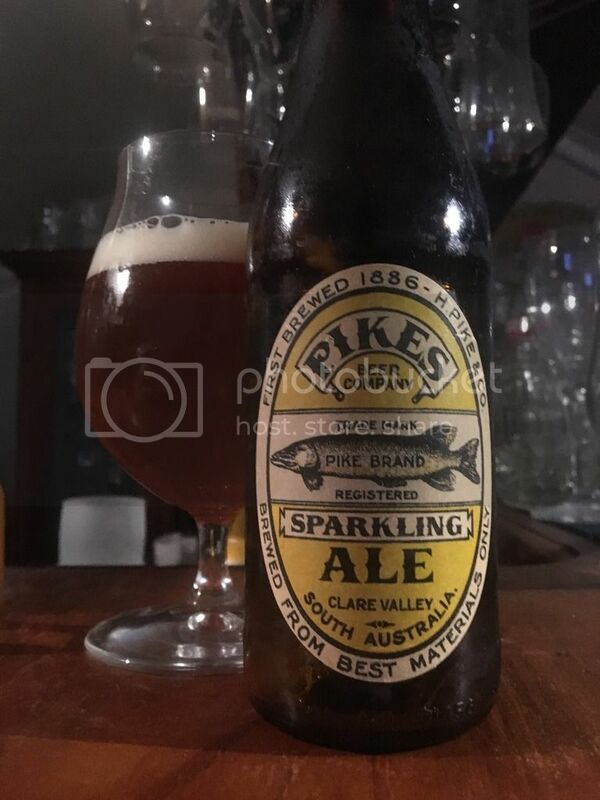 In essence that describes the Pikes sparkling, but much like Prickly Moses ChainSAW it definitely takes a lot of new world influence and creates a modern take on a very old school style. I really dug this beer, admittedly far more than I thought I would. It’s bottle conditioned, pours copper with sturdy malts and lovely fruity, piney hop character (from Chinook and Eureka hops). It’s well balanced, super flavoursome and easy drinking. I’ll be keeping an eye out for more." Fuller's Brewery has been operating at the Griffin Brewery in Chiswick, London since 1845. The ESB was a relatively late addition to their lineup, launching 1971. At 5.5% the beer was revolutionary, as one of the strongest regularly brewed beers in the U.K. As Fuller's already had a Special Bitter - London Pride - they termed the beer Extra Special Bitter and a style name was born. 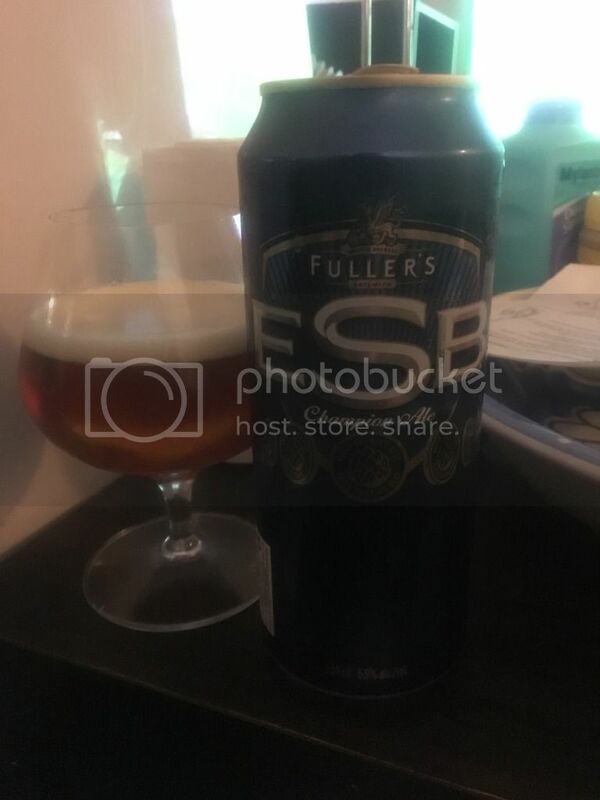 "This beer is probably the one that originated the ESB term on a wide scale and it’s easy to see why - I don’t think I’ve ever had a more ‘English’ tasting beer! There’s bitterness here but it’s very smooth (Target, Challenger, Northdown and Goldings are the hop varieties) and it pours beautifully out of the can, wonderful lacing and great biscuity nose." 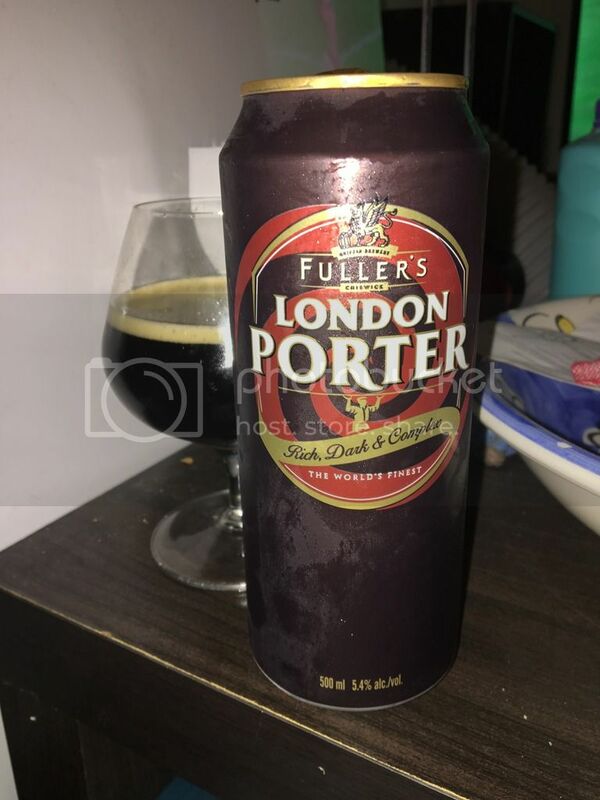 The London Porter from Fuller's was their second beer to appear in this pack. Porter, as you may find out if I ever finish my Stout vs. Porter piece, was a very important beer style in the history of London. This London Porter was released for the first time in 1996 and is their modern interpretation of the style. "As you’d expect, a classic proper English porter. Made with brown, chocolate and crystal malts and hopped with fuggles, the flavour profile is all smooth roast, chocolate and coffee with earthy undertones and a creamy, light texture. It’s an interesting companion piece to the Exit Milk Stout which is richer and deeper in flavour, but not quite as immediately drinkable. A pleasant surprise to see in the pack, especially in can form!" I've been a fan of this Porter for a very long time! I think the thing that makes this beer standout is the creaminess that it packs, which combines beautifully with the dark flavours you'd expect from the style. 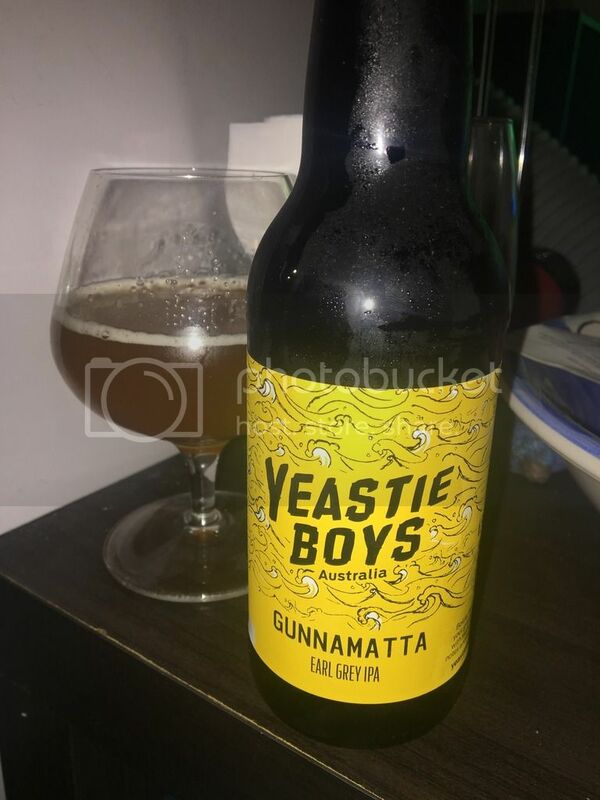 Gunnamatta was the beer that really vaulted Yeastie Boys into my consciousness when it won the GABS People's Choice award back in 2012. Yeastie Boys now operates facilities in their native New Zealand as well as the U.K. & Australia. Gunnamatta is an IPA that has been infused with Earl Grey tea leaves and proved so popular that it is now regularly produced. "I’ve had this beer a couple of times in the past and absolutely loved it, but was a tad worried by reports there’s a large amount of batch variance in terms of quality. Luckily we got another good batch! This is a cracking beer, ‘dry hopped’ with a heap of earl grey tea. There’s plenty of nicely bitter hops and sweet malts in the IPA base with floral bergamot and tannic dryness rounding it out very well. It’s just super well balanced and for what is essentially a novelty IPA it works extremely well. It’s easy to see why they keep making it." India Pale Lagers, more commonly referred to as IPL's, are a style that is struggling to gain acceptance - despite their popularity. 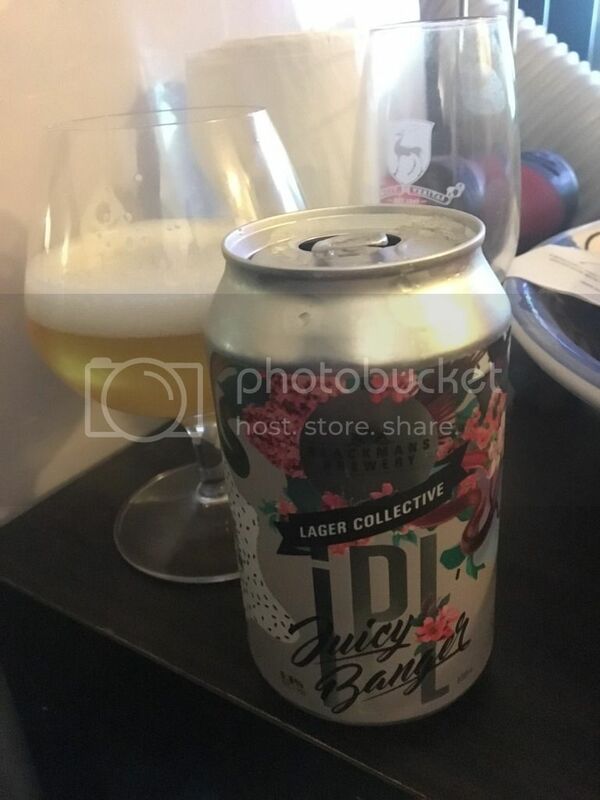 Still not recognised as a style by the BJCP, IPL's are supposed to combine the crispness of a lager with the hop profile you'd expect from an IPA. This example of Blackman's in Torquay is seriously fresh and should be a ripper! "Blackman’s are probably most famous for their IPA but they’re obvious big lager fans - they’ve got one in their core range and now with this beer, the first of 3 proposed lagers in the ‘lager collective’ series, they’ve got another. This is an IPL and definitely lives up to both the beer name and style, with super juicy, fruity hops all around and a smooth, easy drinking finish. The cans look fantastic too! IPL’s are still not my favourite style but this is a tasty beer, especially when it’s nice and fresh. Looking forward to the other two beers in this series." It feels good to finally get this review out of the way, even if it hasn't flowed as well as some other posts. 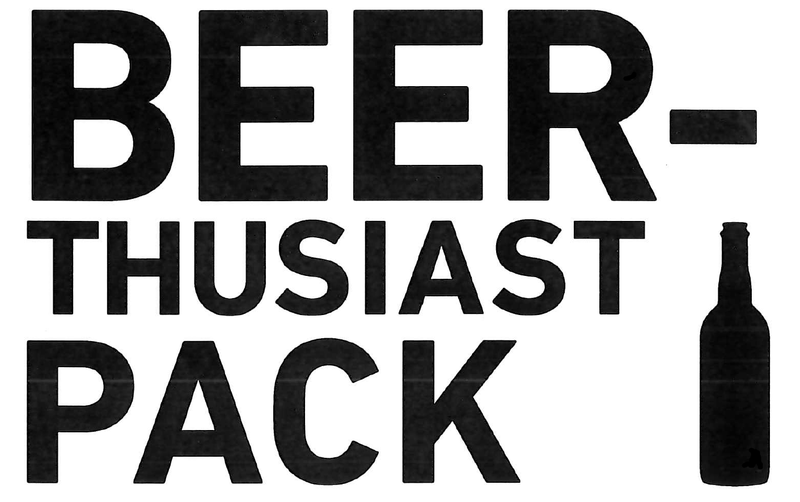 Dylan and I have both consumed all of June's Beer-Thusiast Pack and will hopefully get that review up shortly. Personally I thought May's was one of the better packs for a while, although I was surprised by a lot of the lighter styles included in the pack considering the cooling weather.